Is your stamina compromised? Do you lack the the arm or shoulder flexibility necessary to use a manual wheelchair? We have other options for you to consider! 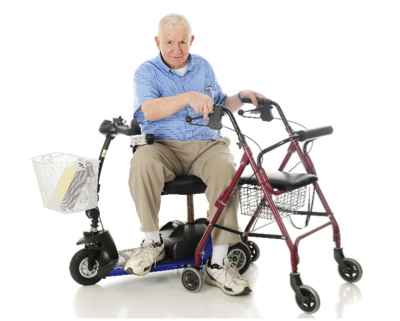 Power mobility devices such as mobility scooters and power wheelchairs are useful for those without the stamina or arm/shoulder flexibility necessary to use a manual wheelchair. 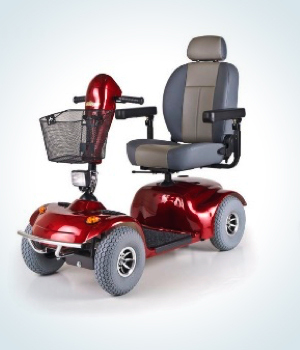 Free Spirit Mobility sells most major brands of power mobility devices and for those on a modest budget, we also stock an excellent selection of gently used equipment. In need of service or repair? We’ve got you covered. Need a rental for short term? We’ve got just what you need. Your equipment requires a professionally installed vehicle lift for transport? You’ve come to the right place! 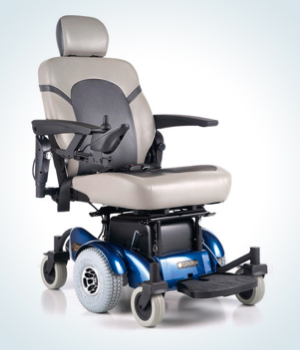 Some of our most popular power mobility devices are included below. When use of a manual, self-propelled wheelchair is no longer an option, a mobility scooter with its wider wheelbase is a next step up. Whether four wheels or three, light weight and compact take-apart or heavy duty, a scooter is an excellent means of mobility for the outdoors or for large indoor venue shopping, entertainment or sporting events. And don’t forget to ask about those bags and accessories! 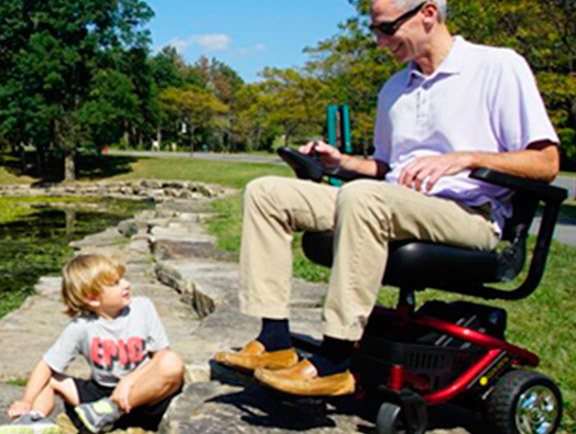 The narrow, turn-on-a-dime turning radius of a power wheelchair has great appeal for those in need of mobility assistance in the home and in smaller public venues. Because steering is accomplished by the use of an armrest mounted joy-stick, a power wheelchair requires minimal hand/arm/shoulder dexterity and flexibility. And the addition of a power elevating seat can make standard height cabinets accessible!